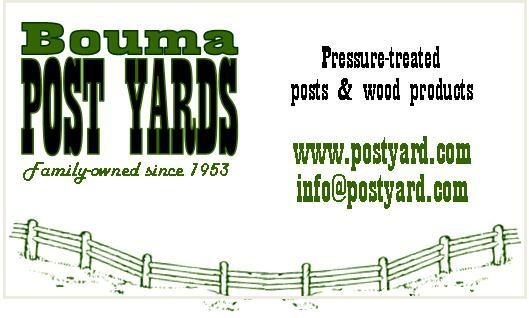 Bouma Post Yards (BPY) started by accident, sixty years ago. 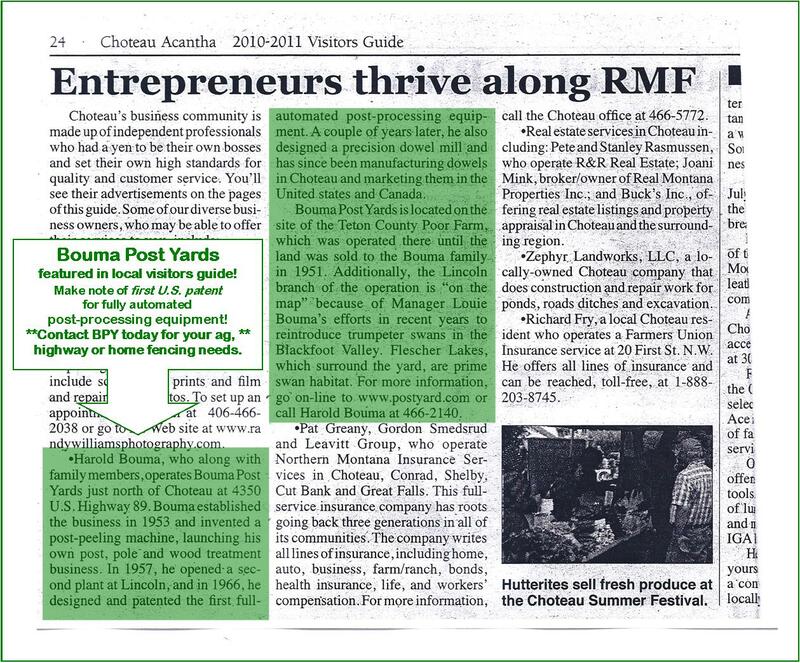 Founders Harold and Johanna Bouma needed some posts for their property, and had to drive several hours to buy them. 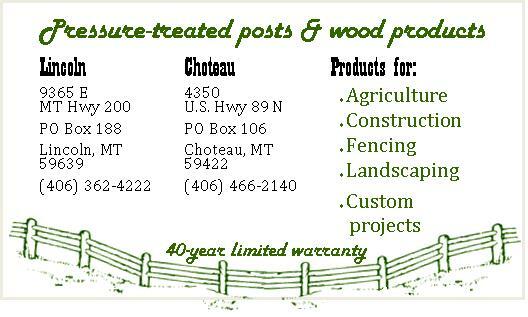 The area where they live in Montana has plenty of trees – wind-warped pines and water-logged cottonwoods – but not many that make good fence poles. Before Harold could get the fence built, his neighbors, having spotted the posts sitting out near the road, stopped by asking to purchase the whole load. So he sold it. Front of new double-sided business card is crisp with subtle western style. Provides only essential info. Family history, that is. BPY has been family-owned and operated by three generations since its founding. It began with simple poles, evolved into standard and custom-treated wood products, and eventually, Harold began inventing and building custom machines for processing small-diameter timber. 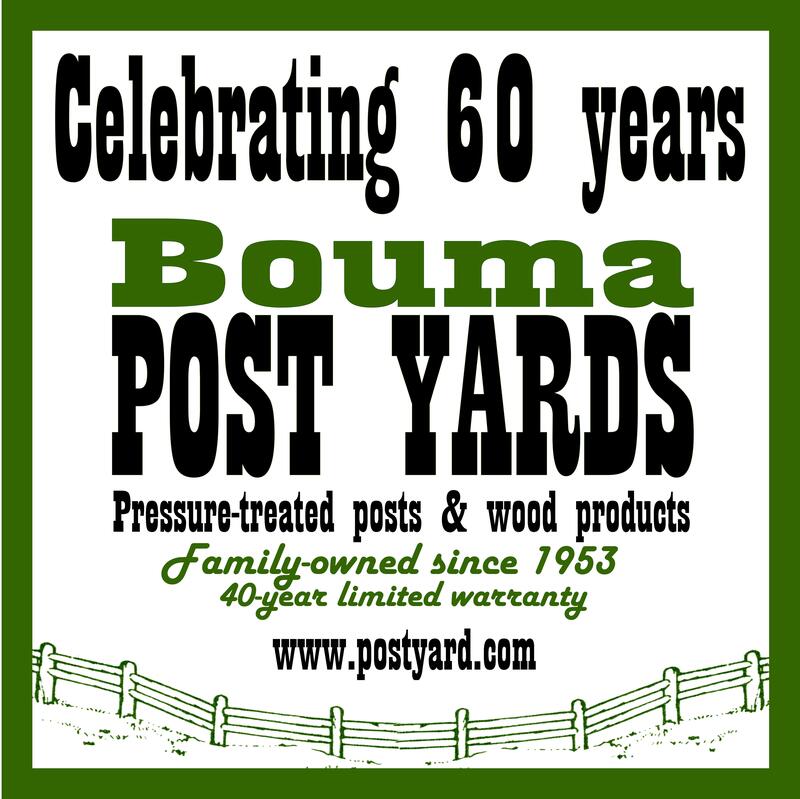 In 2013, BPY and the by-now-hefty Bouma family celebrated sixty years in business. They’ve beat the odds by several decades; most stats indicate small and family-owned businesses fail after less than five years. It was, therefore, a great pleasure to work on a rebranding project for BPY. It started with visioning in 2011 and finished with drafting and execution in 2012 and 2013. We started with the print materials you see here. 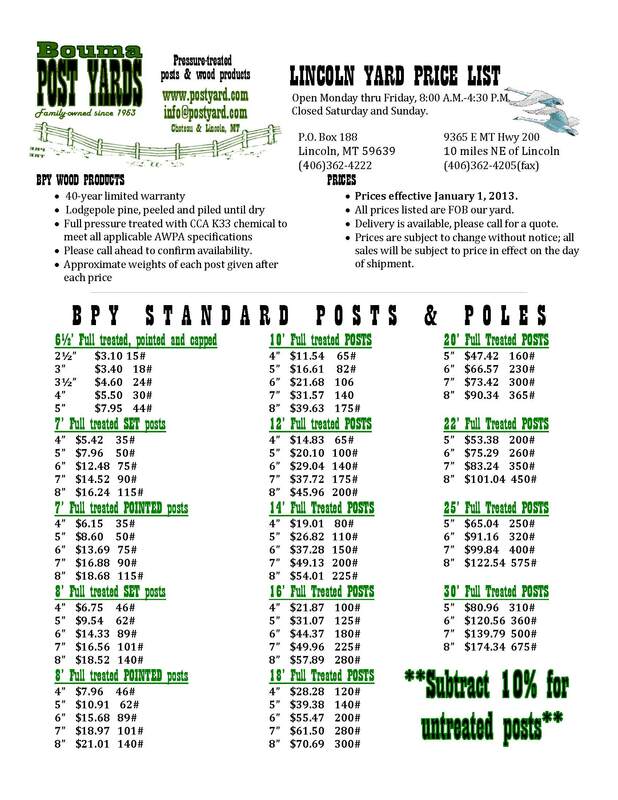 The BPY website is up next. 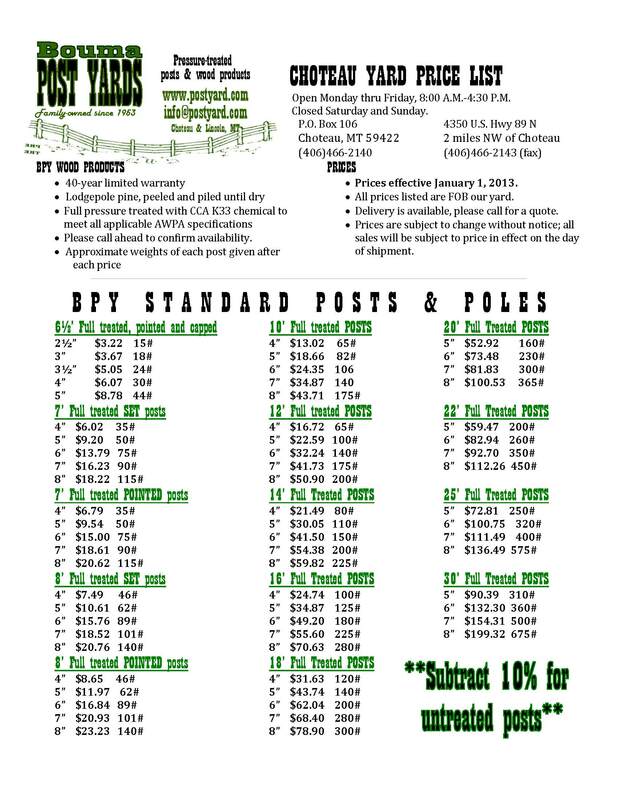 If you’re in need of fence posts or Montana lodgepole pine wood for a custom project, contact Harold at info@postyard.com, 406-466-2140, or just stop by around 10:00 AM or 3:00 PM for coffee time. Tell them we sent you.